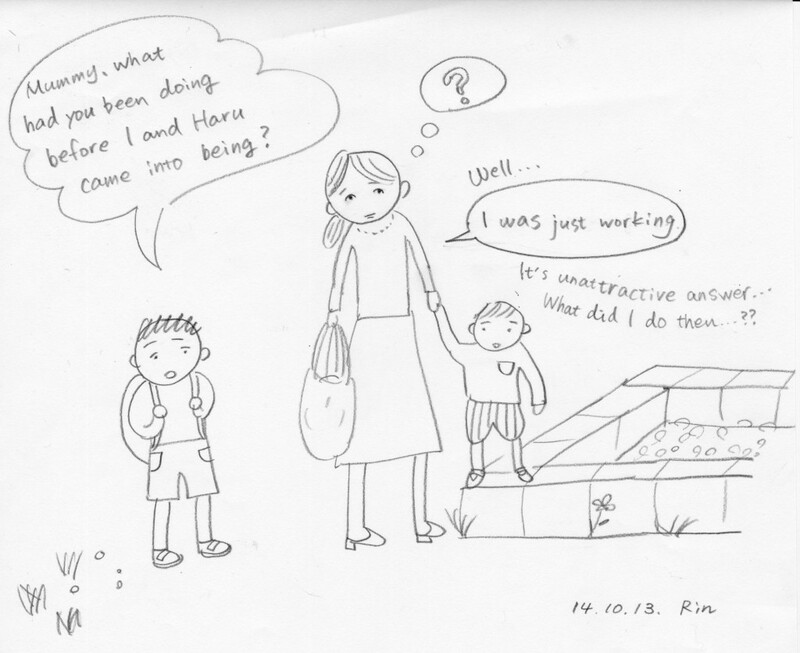 On our way home from nursery school, Taka asked me, “What had you been doing until we came into being?”. I tried to remember what I was doing then, and knew I was working at any rate. What else did I do? Honestly, maybe I was looking for someone to get married…! This entry was posted in 03_First Son (Taka) on 2014/11/04 by mangadiary.